Explore new painting styles this Valentine's Day! 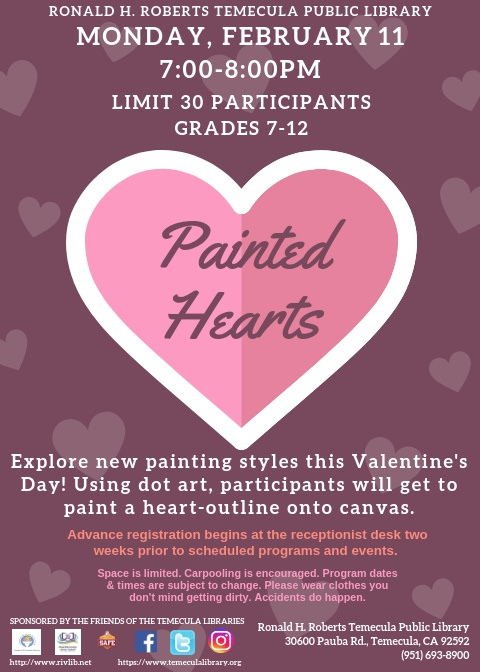 Using dot art, participants will get to paint a heart-outline onto canvas. *Advance registration begins as the receptionist desk two weeks prior to scheduled programs and events. **Space is limited. Carpooling is encouraged. Program dates and times are subject to change.